Hacked John Podesta email lists VP candidates by race. 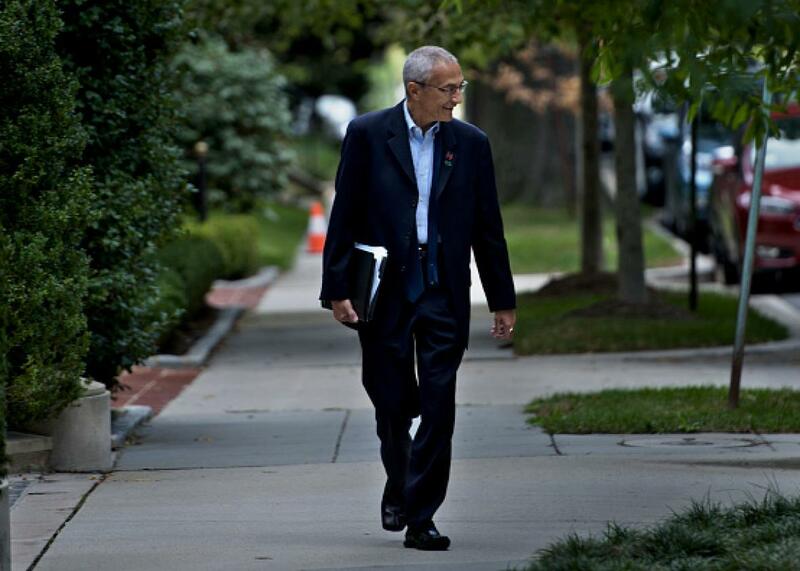 John Podesta outside Hillary Clinton’s Washington, D.C., home on Oct. 5. There’s also a group of business/nonprofit types that includes some interesting names: GM CEO Mary Barra, Michael Bloomberg, Xerox CEO Ursula Burns (the first black woman to lead a Fortune 500 company), Apple CEO Tim Cook, Bill Gates, Melinda Gates, Coca-Cola CEO Muhtar Kent (who comes from a Muslim family, though he says he’s nonpracticing), Rockefeller Foundation president Judith Rodin, and Starbucks CEO Howard Schultz. Podesta has not confirmed the authenticity of any of the leaked emails. Russia is suspected of having committed the hack.